Zambia is officially a Christian nation, with most residents practicing Protestant Christianity. More details Hindu temple and Muslim Mosque in Lusaka Province. Protestantism is very much at the heart of Zambian since the exploration of Zambia in the 19th century. Christianity arrived in Zambia in the form of European Protestant missionaries who were also exploring other parts of Africa. David Livingstone who toured central Africa is credited with the spread of Christianity in Zambia. Several mission stations were established at Niamikolo and Lake Bangweulu from where Christianity spread. Today, Protestant Christians are the majority accounting for over 75% of the population. Some of the Protestant churches in Zambia include the Presbyterian Church, Methodist Church, the Anglican Church, and the Evangelical Church. These Protestant churches continue with the mission work across the country including the provision of health services and educational activities. Roman Catholic is the largest single denomination in Zambia with 20% of the population belonging to this religious group. The Roman Catholic Church of Zambia is part of the worldwide Catholic Church headed by the Pope in Rome. The Catholic Church is also the most influential denomination in Zambia. The first Catholic Mission was established in 1885 among the Bemba tribe who were very hostile to Christianity. The Catholic activities were undertaken by the Jesuit Fathers. The country is divided into several Catholic dioceses with several Catholic hospitals and schools spread across the country. The African Traditional Religion is the oldest religion in Zambia and Africa as a whole. The traditional religion focuses its belief in the spirits, a Creator, the dead, ancestors, sacred places, and magic among other faiths. Adherence to Animism and Folk African Religions in Zambia is estimated at 3% of the population. Animism and traditional religions manifest in communal ceremonies and rites/ the gods and the spirits are appeased through sacrifices while the powers and the will of gods are sought through divination. With the spread of Christianity in Zambia, traditional religious beliefs are slowly fading. 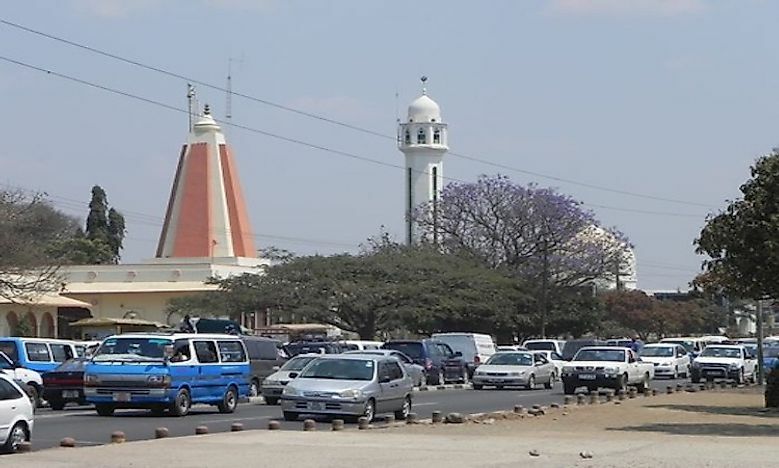 Islam arrived in Zambia through the Arab traders in the 18th century. Muslims in the country account for less than 1% of the population and are found along the railways in the central Zambia. 1% of Zambians are irreligious or do not believe in any of religion in the country. The growth of religion in Zambia suffered major setbacks during the economic turmoil of the 70s and 80s. However, with Fredrick Chiluba becoming president in 1991, the Pentecostal Church expanded considerably. The move by the government to create a department to oversee the activities of the religious groups is viewed as a way of turning the country into a theocracy and extending government control over religion which is a violation of the constitution. The religious leaders fear that their voices against the government might be silenced by the new department.